Turkey’s relations with the European Economic Community (EEC) date back to 1959. But it took forty years, until the Helsinki European Council of December 1999, for the country to obtain the status of a candidate country for EU membership. The EU opened accession talks with Turkey in October 2005, but a number of stumbling blocks are holding up Ankara’s progress, in particular concerning Turkey’s relations with Cyprus, human and minority rights and freedom of expression. Out of 35 negotiation chapters, so far only one chapter (science and research) has been provisionally closed. Thirteen chapters are open, but the EU has suspended the opening of eight chapters over Turkey’s failure to implement the Ankara Protocol, which states that access should be granted and ports opened to products coming from the Republic of Cyprus. Prime Minister Erdoğan has criticised the European Union for treating candidate countries differently, while applying double standards to Turkey by blocking multiple chapters for political reasons. In 2013, Erdogan noted that the 2004 accession of Cyprus could have detrimental consequences for the EU-Turkish relationship and the future of enlargement. 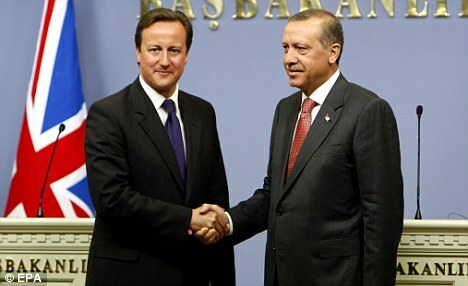 He also said that the Turkish delay in EU accession process was “unforgivable”. Turkey’s European Union Minister criticised the EU for blocking most of Turkey’s accession talks, adding “On the one hand they tell us to work on legal system and freedom of the press, but on the other hand they do not let us carry on with our membership talks. They want us to do our homework without actually telling us what our homework is. Turkey has waited 45 years just to become a candidate”. 16 December 2014: The European Union (EU) General Affairs Council Has a Fresh Look at the EU’s deteriorating relationship with Turkey. It is at this time of year that the Council re-assesses the enlargement policy of the Union. The Council’s deliberations bear upon what are dubbed, somewhat euphemistically, ‘Progress Reports’ from the Commission which is responsible for conducting accession negotiations on behalf of the member states. The current assessment will be the first since Jean-Claude Juncker, the new Commission President, declared that there will be no new state joining the EU during his five year mandate. This leaves only Turkey’s bid for membership remaining on the discussion agenda. The problem is that after having been granted accession country status in 2005 progress has been imperceptible. The largest delegation of the (EU) External Accession Service sits in Ankara, waiting the day when both parties in the relationship will decide that they really want to live together. But that day is not foreseeable. Even at a technical level, Turkey does not apply all the rules of its customs union with the EU (notably on public procurement), and there is next to no chance that Turkey will be included in the TTIP negotiations. Liberalisation of visas and implementation of the readmission agreement for irregular migrants remain agonisingly slow. Obdurate Turkey refuses to recognise the Republic of Cyprus. Many of the accession chapters are blocked because one or other EU state opposes Turkish membership on grounds which are highly political and sometimes prejudicial. Only one country, the United Kingdom, still makes friendly noises about Turkey’s eventual membership – but that very same country is itself thinking of leaving the EU. In any case, British support for Turkey provokes real suspicion in other capitals that its true motive in widening the Union to include Turkey is to weaken European integration. The real problem, however, rests with Turkey itself. In the early years, the Kemalists who ran Turkey wanted to join the EU as an insurance policy against the rise of Islamic fundamentalism and as an economic adjunct of NATO to which military alliance the Turks are still at least formally committed, as well as a way of wreaking revenge on Greece for its historic insults. When the Islamists took over in 2002, the EU was seen as an important guarantor of the human rights whose abuse at the hands of the Kemalists had caused many Islamic brethren, (including Erdogan) to be imprisoned. The prospect of EU accession also played well with the rapidly expanding industrial middle class of Anatolia, who supported the AKP, (Turkey’s UKIP Party) the new ruling party, in very large numbers. A number of the AKP elite have never been willing to sacrifice Turkish sovereignty in order to join the Western liberal community which if not Christian is godless. 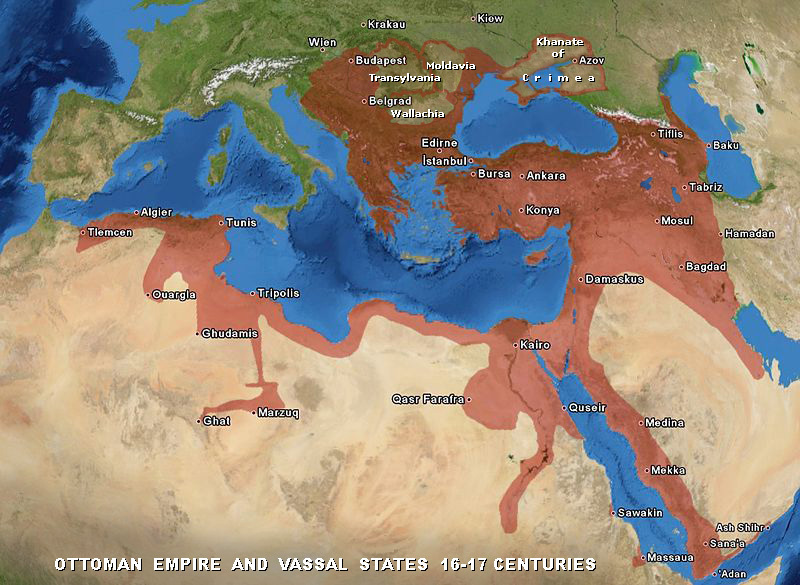 The goal of AKP is for Turkey to lead a neo-Ottoman revival across the Middle East and North Africa. In power now for too long, Erdogan is corrupted. Not only has he lost the once-beguiling charm of the moderniser, but he has adopted the mantle of the ultra-nationalists. He speaks of Turkish North Cyprus in the same tones as Putin speaks of Crimea, sacred duty and all. His earlier efforts to recognise the Kurdish problem, including his careful talks with the rebellious Kurds, have soured with his refusal to help the Kurds against the Sunni fundamentalists in Iraq and Syria. Indeed, some in Western intelligence suspect Erdogan gives tacit support for ISIS. It is clear at the very least that EU/NATO is not successful in aligning Turkish foreign and security policy with that of the West. Erdogan knows how to be elected democratically but not to govern so. The opposition parties are insulted. 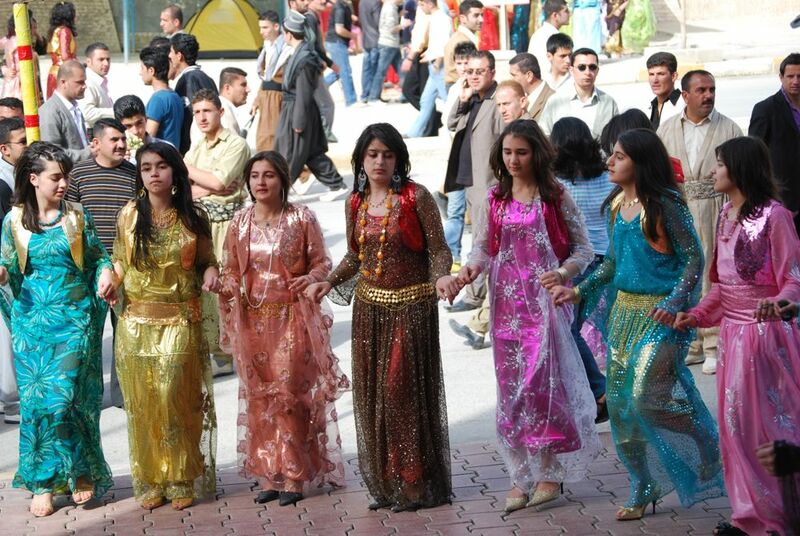 Religious and cultural minorities, notably the Alevis, are discriminated against. The liberal media, NGOs and universities are assailed. The reform of mainstream state education is neglected in favour of Islamic hatipschools. Secular liberal Turkey is challenged by the rise of conservative Islamic family policy. In short, Turkey is becoming less and less European. The charade of an ‘accession process’ with Turkey should be abandoned. Instead, a deep and honest reflection is needed about what kind of durable, strategic partnership between Ankara and Brussels is in our best long-term mutual interest. 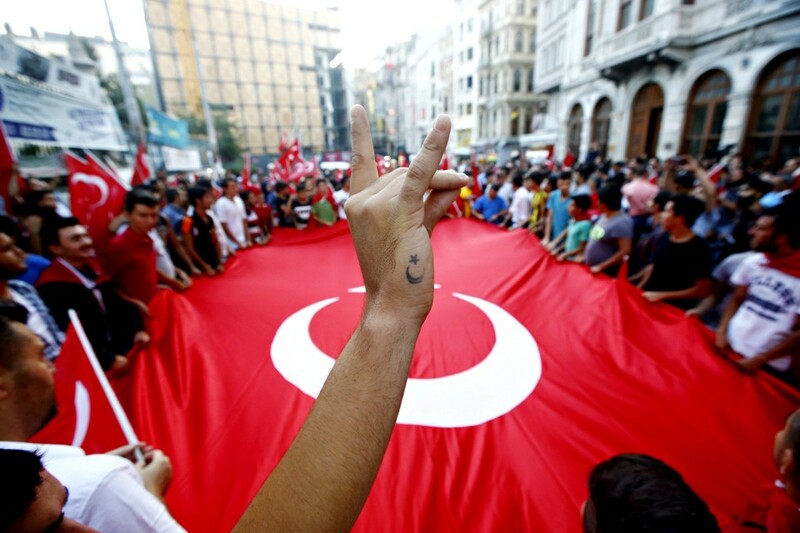 The growing efforts at Islamization of Turkish society have largely gone unnoticed. 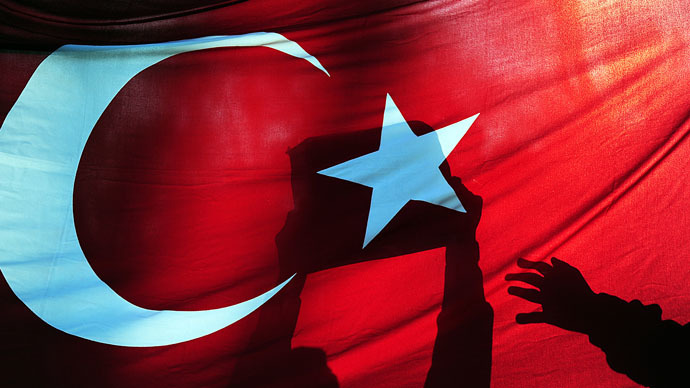 For many years, Islamization was the dog that did not bark: in spite of dire predictions by secularists, the AKP (Turkish UKIP) did not introduce conspicuous efforts to Islamize Turkey. But since 2011, this has changed. The main exhibit is the education sector, which President Recep Tayyip Erdoğan has remodelled to instil considerably more Islamic content, in line with his stated purpose to raise “pious generations”. Ultimately, the Islamic overhaul of the education system is bound to have implications for Turkey’s civilizational identity, and on the choices it will make on where it belongs politically. Let NATO beware. BACKGROUND: In February 2012, then Prime Minister Erdoğan raised eyebrows when he said his government was aiming at “raising pious generations”. Beginning that month, his government embarked on a wholesale reform designed to Islamize Turkey’s education system. The timing of Erdoğan’s reforms was not coincidental. They came fifteen years after the February 1997 military intervention, which had decreed comprehensive changes to Turkey’s education system. Prior to 1997, compulsory schooling in Turkey was only five years; after primary school, parents were free to enroll their children in traditional secondary schools, or vocational schools, including the imam-hatip schools that had originally been designed to provide training for imams and preachers in Turkey’s mosques. In addition to the regular curriculum, these schools provide 13 hours per week of Islamic instruction to students. These schools had grown exponentially since 1973, when Necmettin Erbakan’s Islamist National Salvation Party (MSP) used its position in a government coalition to put them on par with secular schools. By 1997, they enrolled one in every ten middle and high school students. Moreover, close to half of the enrollees were girls, who could neither become imams nor hatips. 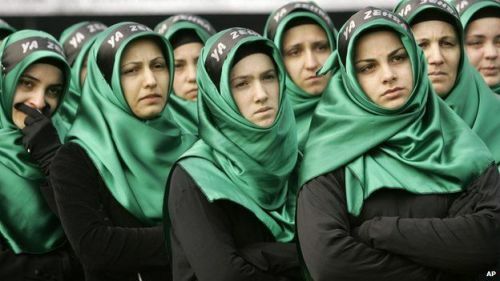 The imam-hatip schools were a deliberate effort to increase the Islamic consciousness of the young generation, having become a parallel system of education that provided a voting base and manpower for Turkey’s Islamist movement. When the Turkish military intervened with what has been called a post-modern coup on February 28, 1997, one of the key reforms was to increase the length of compulsory schooling to eight years – thus preventing children from being enrolled in religious schools until the age of 14. The university entrance examination system was also reformed to make it difficult for imam-hatip graduates to gain acceptance to non-theology undergraduate degree programs. The reforms worked: imam-hatip enrollment declined from 11 percent to 2 percent of relevant age students, and the rate of graduates entering higher education dropped from 75 to 25 percent. In February 2012, the AKP launched a reform program termed 4+4+4. On the surface, the law extended compulsory schooling by four years, making school compulsory for a full 12 years. But in fact, the reforms did exactly the opposite. Vocational schools are once again permitted from fifth grade – including imam-hatip schools. The law also allows parents to home-school children after fourth grade, which is expected to lead to a reduction of formal schooling, especially for girls in rural areas. As columnist Orhan Kemal Cengiz has observed, the reforms turned “religious schools from a selective option to a central institution in the education system.” This is the case because the reforms introduced entrance examinations for all high schools except the imam-hatip schools. Thus, all students who do not qualify for other schools would have no choice but to enrol in religious schools. In August 2013, over 1,112,000 students took the placement test for 363,000 slots in regular, academic high schools. Those that did not make the cut had to choose between secular vocational schools, imam-hatip schools, and a variety called “multi-program high schools”. But the latter are only available in remote areas, and do not even exist in the entire province of Istanbul. In other words, parents and students were forced to choose between vocational schools and religious schools. As a result, 40,000 students were automatically enrolled in imam-hatip schools against their will, including numerous Alevi and several Armenian students, neither of whom are Sunni Muslims. IMPLICATIONS: When the AKP was first elected in 2002, 65,000 students studied in imam-hatip schools. That number grew to 658,000 in 2013. In May 2015, Bilal Erdoğan, the President’s son, who is (informally) in charge of the Türgev foundation that is spearheading the expansion of imam-hatip schools, announced that the number of students had reached one million. Imam-hatip schools are only one side of the story. The AKP’s reforms have also greatly expanded the religious content of regular academic high schools. In so doing, Turkey is in direct breach of a 2007 ruling of the European Court of Human Rights, which held that Turkey’s compulsory classes in religious education violated the religious rights of minorities, since the classes featured only education in the tenets of Sunni Islam. The government renamed the class to “Religious Culture and Moral Values”, to make it appear broader in scope, but in practice nothing changed. Students are required to memorize a long list of Quranic verses and prayers, but no texts from any other religion. Moreover, Christian and Jewish students continue to be exempt from the class – implying that the government itself views it as an education in Sunni Islam for Muslims. In theory, these classes are elective; in practice, they may not be. School administrators decide what elective classes are to be offered. And amendments to the law in 2014 strengthened the government’s control over the appointment of school principals, who have the decisive influence on what courses schools offer. At least ten students are required to open an elective class, and thus, students may be forced to choose among the religious classes even if they do not want to. In a well-publicized case, the daughter of a protestant pastor in Diyarbakır was exempted from the compulsory class on religion and culture. She was forced, instead, to choose between elective classes on the Qur’an and the life of the Prophet. Community pressure invariably provides considerable incentives to follow the conservative majority’s behaviour. As Newsweek recently reported, when a student in a largely secular area of Istanbul was exempted from a supposedly elective class on the life of the Prophet to which she had automatically been assigned, she was bullied for being an atheist. If this can happen in secular districts of Istanbul, the very thought of asking for an exemption would not occur to parents in towns and rural areas across the country. It is not a coincidence that the class on the life of the prophet was the most popular elective course in the first year it was being offered. In March 2014, new legislation was adopted that provided the government with a mandate to overhaul the entire structure of the ministry of education, including terminating thousands of high-ranking officials, who could then be replaced by political appointees. Furthermore, reforms in 2010 made it possible to transform regular high schools into imam-hatip schools; in 2012, this was made possible for middle schools as well. The government claims that such processes only take place as a result of popular demand, but the record proves otherwise. In fact, government plans to turn secular schools into imam-hatip schools have led to street protests in a number of places. On top of the changes to the educational system, the 2012 education reform made considerable changes to the Qur’an courses offered by the state directorate of religious affairs, the Diyanet. The Qur’an courses, particularly summer courses for children, operated by the directorate, used to be co-managed with the Ministry of Education; the directorate now manages them alone. The reform also relaxed regulations on the physical nature of appropriate buildings and requirements for eligible teachers. This is a boon for religious brotherhoods that can now essentially run their own Qur’an schools with their own teachers. Finally, Quran schools are now allowed to be boarding schools and to have dormitories – an important change, since it enables the full immersion of young children in a religious lifestyle. CONCLUSIONS: Since 2012, the AKP has embarked on a systematic, multi-pronged effort to Islamize Turkey’s education system. These changes are likely to be lasting, as the AKP is retaining its grip on power. In any coalition government in which it is the senior partner, the AKP is certain to jealously protect the education reform it has embarked on. On top of that, President Erdoğan’s parallel administration — as well as Türgev, the private foundation run by his extended family that is spearheading the expansion of imam-hatip schools — will continue to have a strong informal but direct influence on the education bureaucracy. The consequences of these reforms will be visible only in time. It is not unlikely, however, that they are going to encourage a Sunni Islamic radicalization among sections of the population. 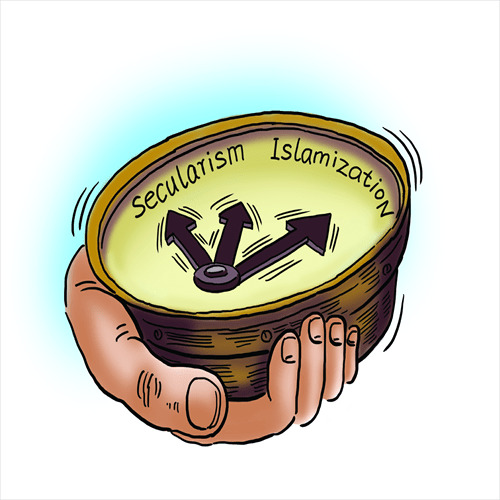 Social harmony between Sunnis and non-Sunnis could be endangered as a result. Ultimately, the Islamic overhaul of the education system is bound to have implications for Turkey’s civilizational identity, and on the choices it will make on where it belongs politically. History teaches that the establishment of a one party rule and ideological homogenization requires the securing of the full support of the financial money-men. At the recent meeting of the Association of Turkish Businessmen and Industrialists (TÜSİAD) their representatives listened to the speech of the prime minister standing. That shows that we should not expect that big business is going to oppose the ideological uniformity that the one party regime is introducing. HDP (Turkey’s Labour Party and supporters of Kurdish autonomy) representatives were hoping that President Erdoğan would resume the peace process with the PPK and that he would make concessions to the Kurds if they backed the presidential system he insists on introducing. But is Erdoğan going to bargain with HDP in the parliament while he is fighting the PKK ( ferociously on the ground? It’s less likely for the time being. At most, they might consider making minimal concessions to HDP that don’t threaten the unitary state, when they think that they are close to “finishing off the matter.” And this is because of the alliance between Erdoğan/AKP and the Turkish Armed Forces (TSK). The greatest ally of the AKP in the country is the TSK. One reason why Erdoğan is able to pursue his authoritarianism so brazenly is the “alliance” he has entered into with TSK. They have reached an agreement with TSK on the war against PKK, on the unitary integrity etc. Erdoğan cannot step outside these limits, until a new situation. That means it’s probably not on the agenda to seek endorsement from HDP in order to get an amended constitution accepted in parliament. This is an armed conflict between the Republic of Turkey and various Kurdish insurgent groups, which have demanded separation from Turkey to create an independent Kurdistan, or to have autonomy and greater political and cultural rights for Kurds inside the Republic of Turkey. The main rebel group is the Kurdistan Workers’ Party or PKK. Although insurgents have carried out attacks in many regions of Turkey, the insurgency is mainly in south eastern Turkey. The PKK’s military presence in Iraq’s Kurdistan Region, from which it also launches attacks on Turkey, has resulted in the Turkish military carrying out frequent ground incursions and air and artillery strikes in the region, despite the fact that the United States and Iraq have warned Turkey. The conflict has particularly affected Turkey’s tourism industry and has cost the Economy of Turkey an estimated 300 to 450 billion dollars, mostly military costs. Since the PKK was founded on 27 November 1978 it has been involved in armed clashes with Turkish security forces. The full-scale insurgency, however, did not begin until 15 August 1984, when the PKK announced a Kurdish uprising. The first insurgency lasted until 1 September 1999, when the PKK declared a unilateral cease-fire. The armed conflict was later resumed on 1 June 2004, when the PKK declared an end to its cease-fire. Since summer 2011, the conflict has become increasingly violent with resumption of large-scale hostilities. In 2013 the Turkish Government and the jailed PKK leader Abdullah Öcalan started a new process regarding the Kurdish question. On 21 March 2013, Öcalan announced the end of armed struggle and a ceasefire with peace talks. On July 25, 2015, The PKK finally cancelled their 2013 ceasefire after a year of tension due to various events when the Turks illegally bombed their positions in Iraq, in the midst of their defence against ISIS. The Turks are a treacherous nation and should not be trusted by the West. The Kurds are more than a match for ISIS. They need heavy weapons which the USA will not supply preferring to allow Turkey to support the Kurds. * The formal position is that Turkey is supposed to be a secular state but that is no longer the case. Now an Islamist nation it is simply a matter of time before becomes radicalised and anti-western. NATO will have a deal of hard thinking and restructuring over the next decade. 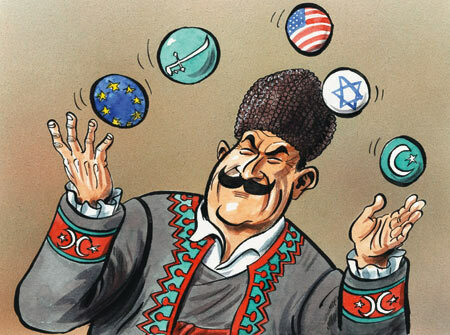 Turkey will probably withdraw from the Western Alliance (NATO) taking up a neutral stance. * Turkey has a pressing need to secure access to a guaranteed supply of oil and gas. * It is expected that the Kurds in Northern Iraq and along a buffer zone between Syria and Turkey will be afforded full statehood or autonomy within Turkey or Iraq, with the support of a Western alliance led by the US. * President Assad and the Russians will be allowed to bring stability to Syria, (less the newly created Kurdish buffer state along the border with Turkey). Matters pertaining to the rule of President Assad will be referred to the UN, (in time) by the Russians.